My answer is a resounding, “Yes!” With a few modifications and adjustments, your keto Mexican recipes can be JUST as delicious as carb loaded Mexican recipes. To prove it, I’ve compiled a list of ketogenic Mexican recipes that totally ROCK. And you’ll stay in ketosis while satisfying your Mexican food cravings, too! 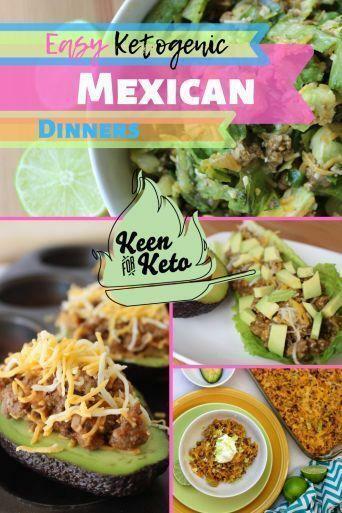 Each of the recipes on Keen for Keto, including these low carb Mexican dinners, all have the macronutrients listed at the top of each recipe post. So you’ll know at a glance whether the recipe will fit your macros for the day or not. How convenient is that?! And now to the good stuff! Let me know if you try any of these recipes–I’d love to know your opinion or if you have another great idea for my Keto Super Taco Meat! And don’t forget to grab a FREE downloadable Keto Foods Cabinet Cheatsheet so you always have a keto foods grocery list handy! And here we go! A big fat list of super easy keto Mexican recipes. 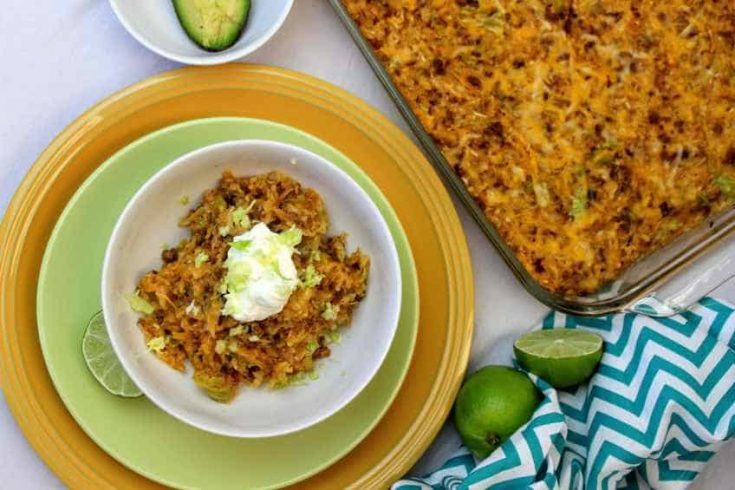 Now, there's one thing you need to know about this list of low carb Mexican dinners. Almost all of them contain taco meat. You can use whichever taco meat you prefer, but I recommend that you use my recipe for Keto Super Taco Meat, which will be listed first. Suffice it to say, you will NOT regret your choice! When this bold, flavorsome, extraordinary keto taco ground beef passes your lips and covers your taste buds, you will be thanking me for my suggestion! Up first in this list of easy keto Mexican recipes is only the very best keto taco meat known to man! 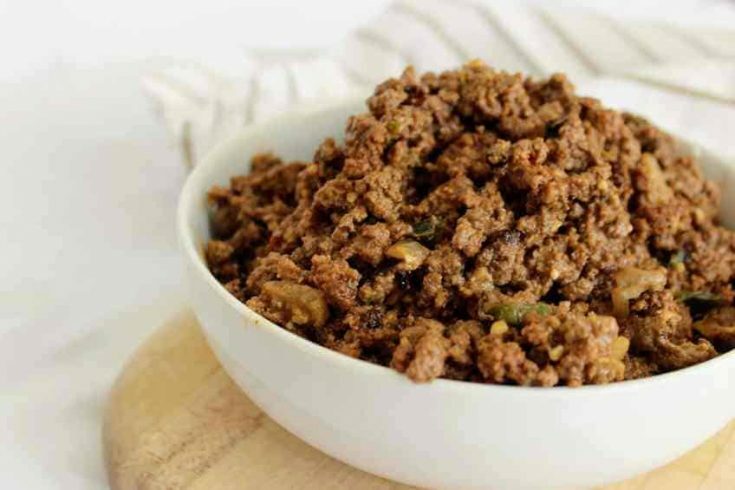 As I noted above, this low carb ground beef recipe is used the keto taco meat I recommend for the recipes in this list that call for taco meat. Keto Super Taco Meat is deceiving with its humble "I really am just taco meat" look. Oh, Keto Super Taco Meat, why do you play coy? We all know your robust and velvety flavor is enough to go viral! Check it out--you'll be surprised at the ingredients listed, but SO satisfied when you taste it! It will absolutely become your new go-to keto taco meat! I won't lie. This easy keto Mexican recipe IS going viral as of right now. And for good reason. Keto Mexican Bubble Pizza is a sensation. The regular version includes those refrigerated biscuits that you smack on the side of the counter and the can pops open revealing the most carb-heavy chemical-laden bread product known to man. For the keto diet version, I've made a deliciously taco seasoning flavored gluten free low carb base. And it uses my Keto Super Taco Meat listed above, of course, so it's AMAZING! 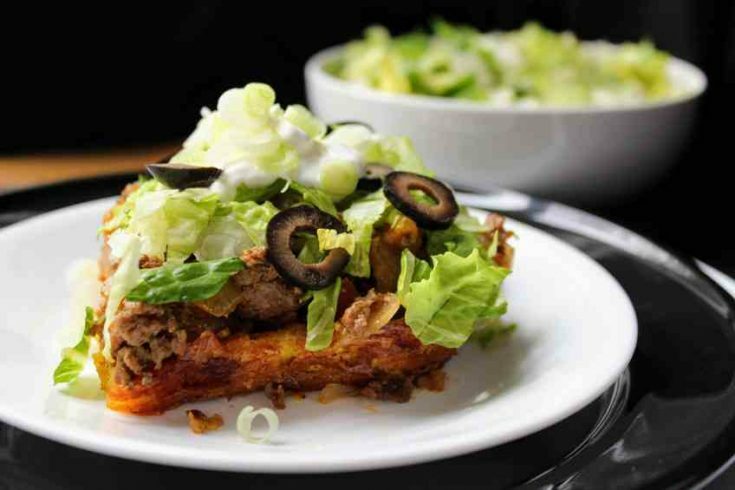 If I were to describe this Keto Mexican Bubble Pizza dinner to someone who has never tasted it before, I would say that it's like a taco seasoned deep dish pizza covered with a taco salad. One of my family's top 5 keto dinners for sure! Shredded cabbage is steamed till just tender and then combined with Super Keto Taco Meat (listed in recipe #1 above), low carb salsa, Mexican cheese blend, and green onions. It may sound simple, but the flavors in this low carb Mexican recipe are out-of-this world together! 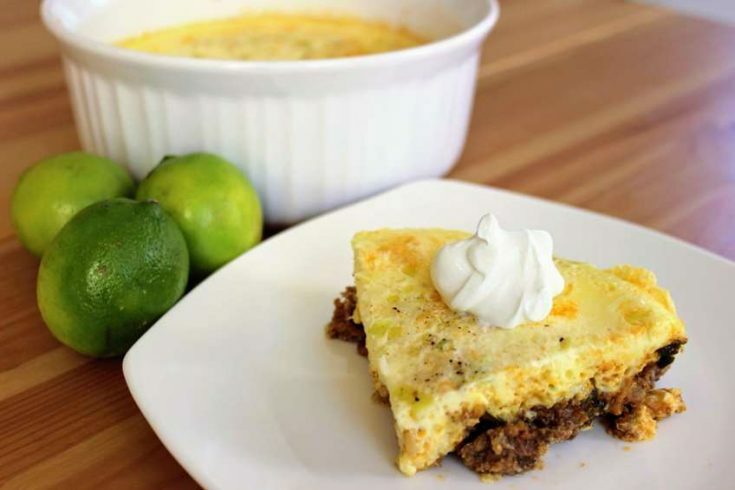 Throw it all into a casserole dish and bake till melty and warm and then top each serving with whatever you like--we use sour cream, avocados, and more green onions--yum! This might be the easiest recipe on this easy keto Mexican recipes list! I stand corrected. This Easy Keto Lettuce Wrap Tacos recipe is the easiest recipe on this list of easy ketogenic Mexican recipes! Make the Super Keto Taco Meat recipe above in #1. Line a lettuce leaf of your choice with the delicious meat and top it with whatever ketogenic taco toppings you prefer. We like cheese, avocados, and sour cream. Yum! The fiesta can start when this 3 Layer Mexican Dip arrives! 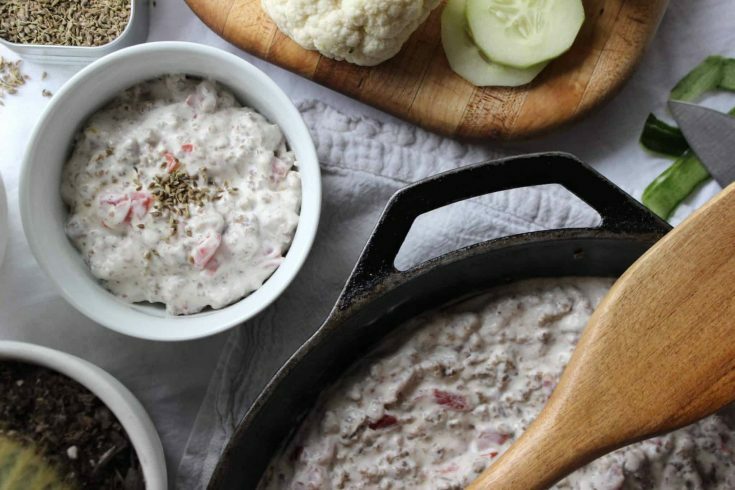 Who doesn't love a warm hearty dip that can double as an easy lunch or dinner? Three awesome layers: 1) Keto Super Taco Meat (listed above in recipe #1!) and cheese. 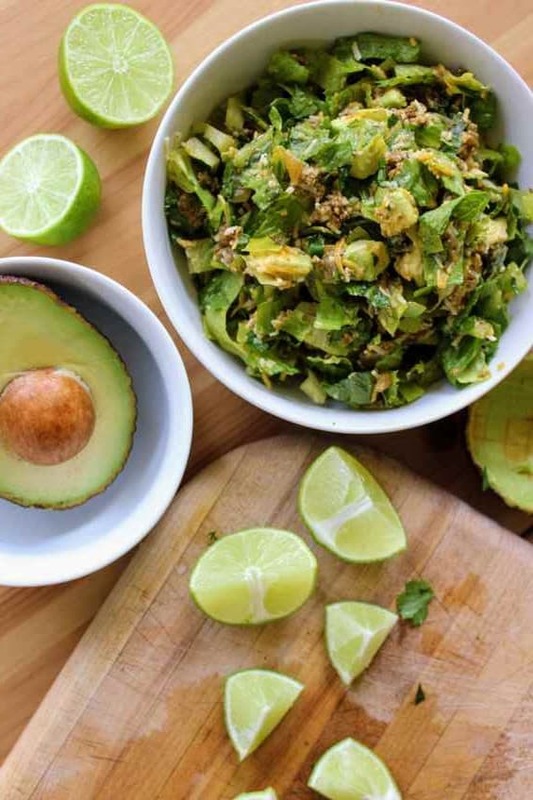 2) Avocados drenched in fresh lime juice and sprinkled with salt and freshly ground pepper. 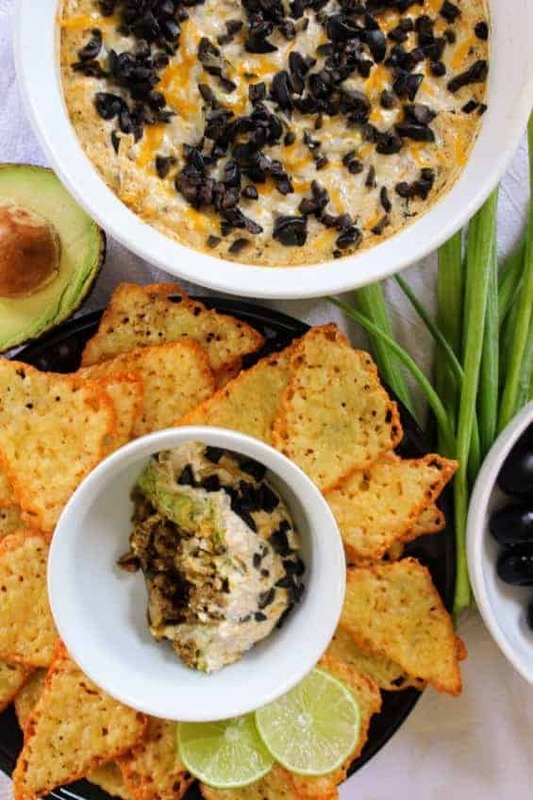 3) Creamy sour cream and mayo layer mixed with olives, green onions, spices, and salt. When it's all baked and the cheese melts into a glue that holds everything together, every Mexican craving will be satisfied! One of the tastiest low carb Mexican dinners (or appetizers!). Wait, isn't this a breakfast? You got me, LOL. Sort of. When I created Cheesy Keto Super Taco Instant Pot Omelet, I had a really hard time naming it. Because we eat it for breakfast, lunch, AND dinner. A lot of people would eat this and consider it a taco pie, but it's heavier on the egg side (but us egg-despisers still LOVE it!). It was based on a non-keto breakfast omelet casserole a friend made for me, so I went with that. If you're into easy and Instant Pot, this low carb Mexican recipe is totally for you! Only two easy layers. 1) Keto Super Taco Meat (listed in recipe #1). 2) The egg and cheese "omelet" layer seasoned with taco spices. One of my favorite easy keto comfort foods! And--bonus!--it reheats REALLY well! Do you remember Doritos Taco Salad? So good, right? This is a low carb version of Doritos taco salad that will make you completely forget there are no tortilla chips involved! The key is definitely the Super Keto Taco Meat in recipe #1 above, so do NOT leave it out. That recipe was actually created JUST for this salad, so it's not optional. Of course, you can use a different taco meat recipe if you like, but it will just make a taco salad, not a keto mock Doritos salad. This ketogenic taco salad is so full of flavor, you'll be reaching for another bowl! This keto Mexican recipes post is SO full of easy low carb Mexican dinners! This Taco Stuffed Avocados recipe is NO exception. 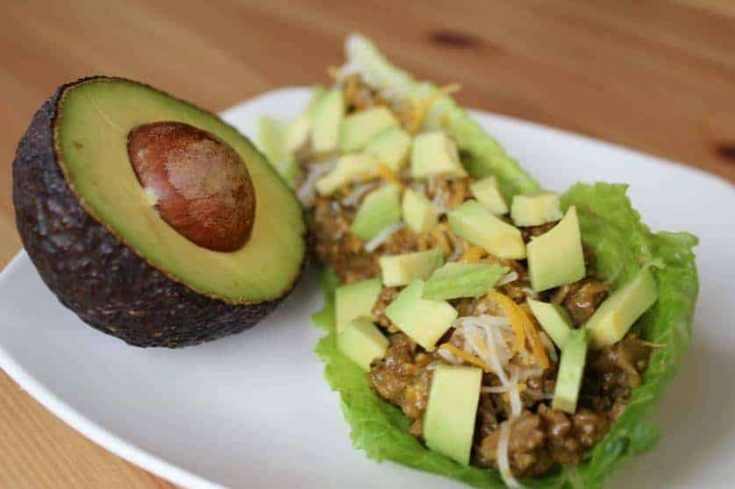 Very similar to the lettuce wrap tacos, these avocados are stuffed with Keto Super Taco Meat (see recipe #1 above!) and topped with cheese. The stuffed avocados are baked for 8 minutes till the cheese is melted, and OMgoodness, this is the easiest way to heaven you will ever find! FREE downloadable Keto Foods Grocery List from Keen for Keto! I’m so ready to go make a big batch of keto taco meat and have a keto taco week with these easy keto Mexican recipes! If you’ve been looking for low carb Mexican dinners for your keto diet, you’ll be happy you stopped by! 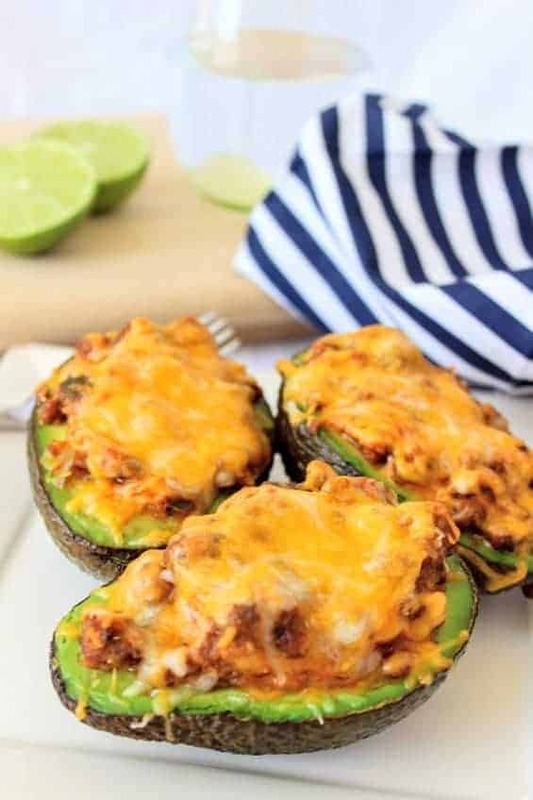 Enjoy these keto dinner recipes with taco ground beef and let me know if you like them! You can also pin this post for later so you remember how to get back here. And if you’re looking for MORE keto dinner recipes, we’ve got those! Fiesta time! Here’s the ultimate list of low carb keto Mexican recipes with ground beef! 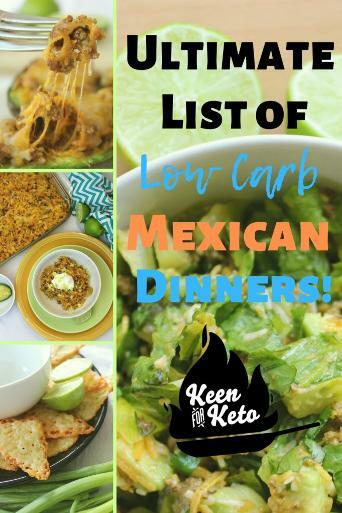 On the border low carb Mexican dinners, including ketogenic lettuce wrap tacos, ketogenic 3 layer Mexican dip, low carb keto mexican taco casserole, gluten free keto Mexican Bubble Pizza, and more amazing low carb Mexican comfort food recipes with keto friendly taco meat!